Does your kid have frequent emotional outbursts? It can be quite challenging for you to take care. 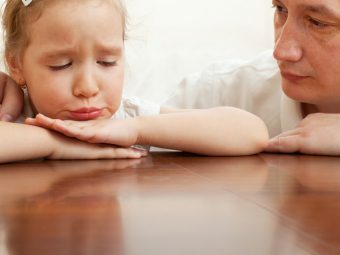 As a parent, you must understand that your child is having an emotional breakdown as she is not able to convey her feelings to you through words. You have to always stay prepared for all those episodes of temper tantrums, meltdowns, defiance, outbursts, etc. Such emotional outbursts tend to last for anything from 30 seconds to a few minutes or even a few hours. Though emotional outbursts are a part of growing up, sometimes dealing with an emotional child can leave you feeling frustrated. Address these early signs by mentioning the same to your child like, “you are whining or you are fidgeting” to warn her and divert her attention. Whether at home or in public, allow your child to go on with her episodes of tantrums. Just be stable and allow your child to feel that she is not under your control. Your child will grow tired of her emotions soon and would get back to reality in a few minutes. Have a chat with your child after an emotional meltdown to know what made her angry, sad or irritated. Allow your child to describe the way she feels right before an episode of meltdown. This would help her realize the signs over which she must have control. You can discuss with your child and figure out some creative ways to address this issue. Try to make her handle her feelings with an innovative approach to reduce the tantrums. Ask her to draw few pictures to apologize or hug you whenever she feels like this. Helping children deal with emotions will allow them to know that you are always there for them. Note down the days and time during which your child was highly emotional. Write down about those incidents which kindled this behavior in your child. This would be helpful for you to avoid them in the future. Sometimes, a crowded place like a grocery store or a movie hall can also be a trigger and can be avoided by leaving your child with a babysitter. Whenever you feel that your child is going to have an emotional outbreak, you can keep some activities or have some music ready to divert her feelings and make her calmer. These distractions would help your child to focus her attention on something else. When you are having a talk with your child after an emotional episode, you have to reassure her that what she felt was natural and there is nothing to feel bad about it. You can tell her that she must not hurt herself or others when she is angry or upset. Usually when children have many choices to choose from, they tend to get confused and might demand all the options. Give your child a very limited choice by limiting it up to three. For instance, when you are offering her a snack, tell her that she can either have a banana, a cup of milk or an apple. Do not tell your child about your plans of going out in advance as it would create an opportunity to throw a tantrum. Instead, let the news out just before 10 minutes as your child would have much lesser time to react. Instead of suppressing your child’s emotional outbursts, allow it to come out occasionally, as it would relieve her greatly. Give her time to wail, shout or cry, as it would help her feel better. Hug her later. 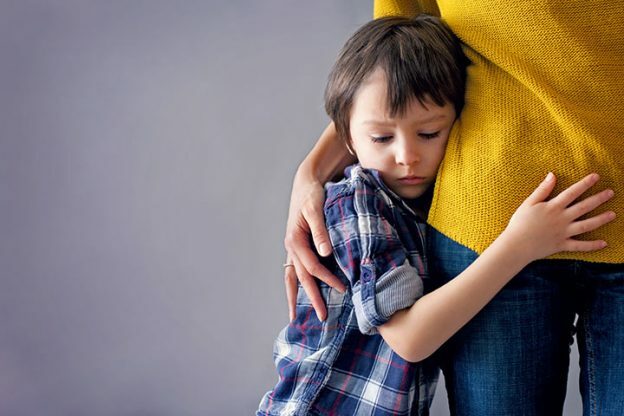 When a child is suffering from an emotional disturbance or emotional disorder, it means that he is going through a phase of emotional anxiety. The phase can last anywhere from a few days, a few weeks, to a month or sometimes even longer. In severe cases, a child may go through an episode of emotional disturbance for many years at a stretch if he does not get any proper help. Therapy – for the individual or family. Special educational programs for the child. Training programs that focus on development of social and behavioral skills. 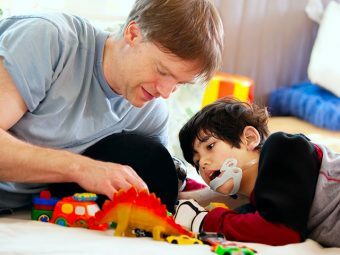 Enrollment in special schools, hospitals or residential facilities. You can be successful in calming your child by keeping your cool and staying compassionate. Remember to reassure your child that you love her no matter what. We would like to know if you have other ideas on how to deal with emotional child, please do share them with us.